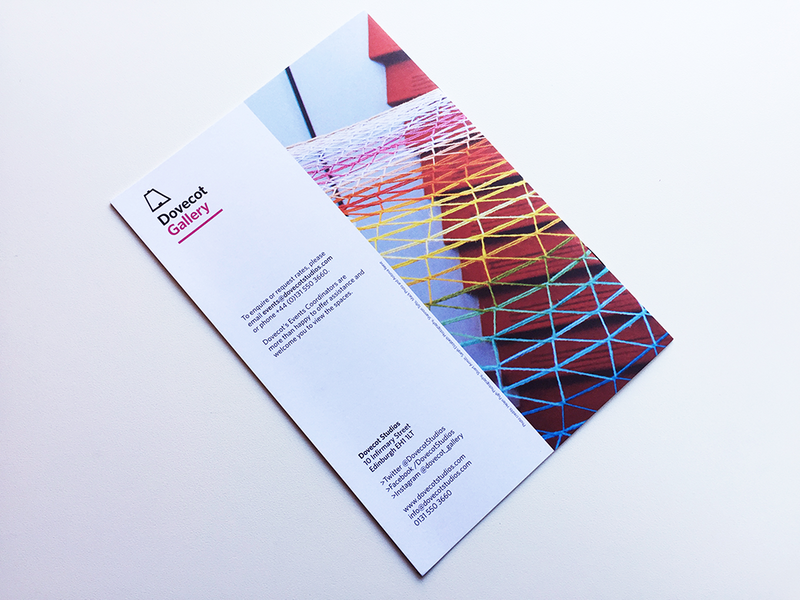 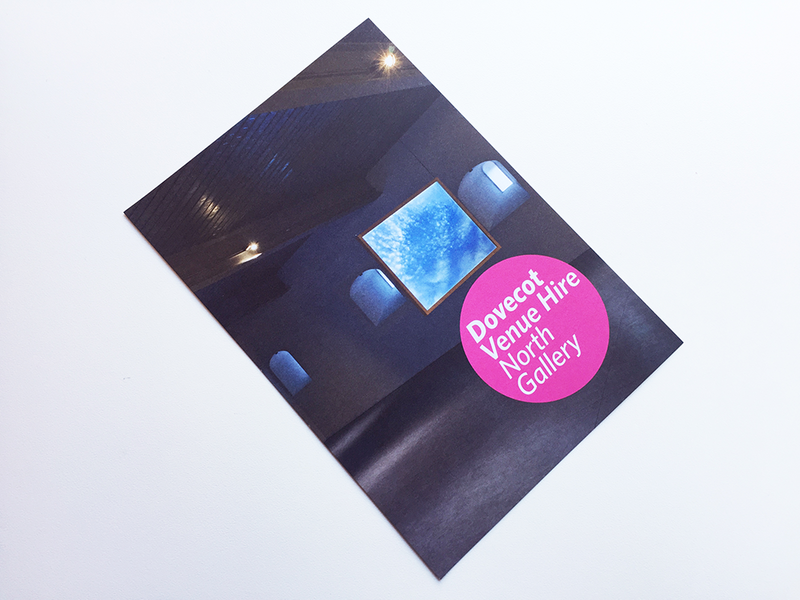 Following on from the material I designed for Dovecot Gallery, Dovecot Studios asked me to design a suite of items to promote Dovecot Venue Hire. 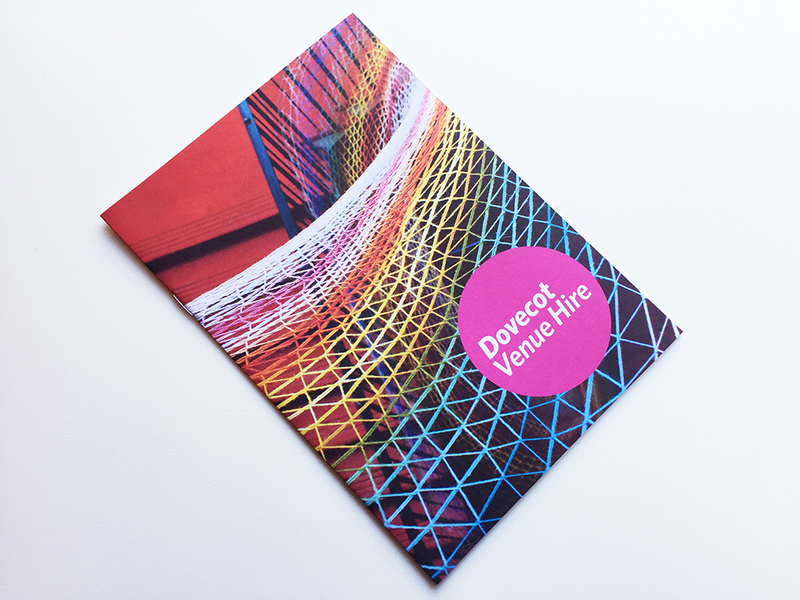 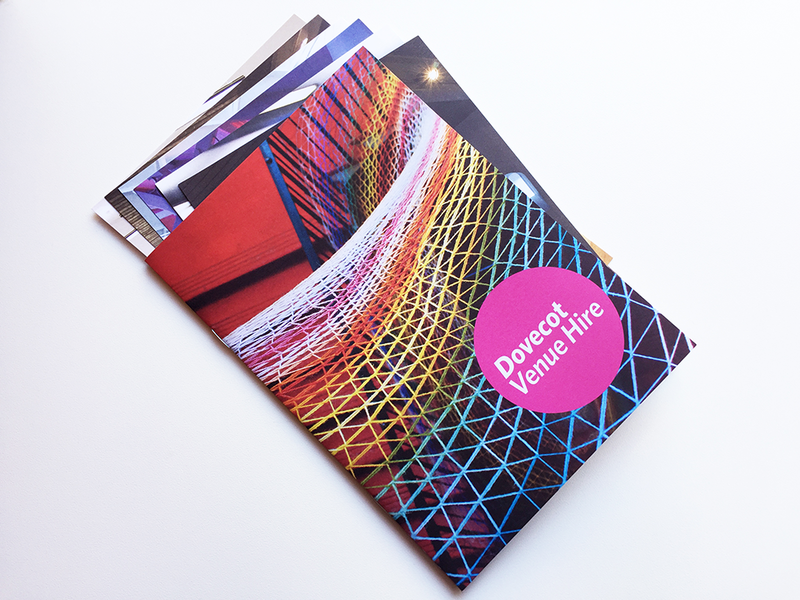 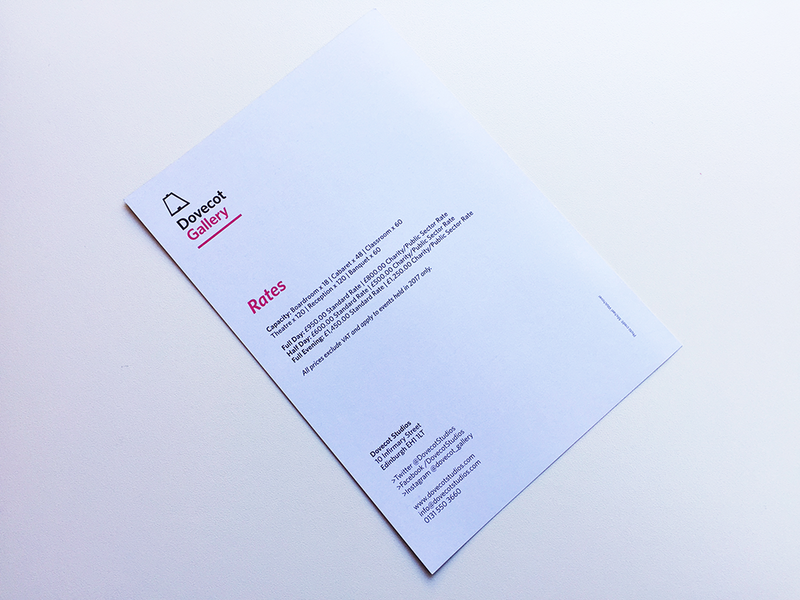 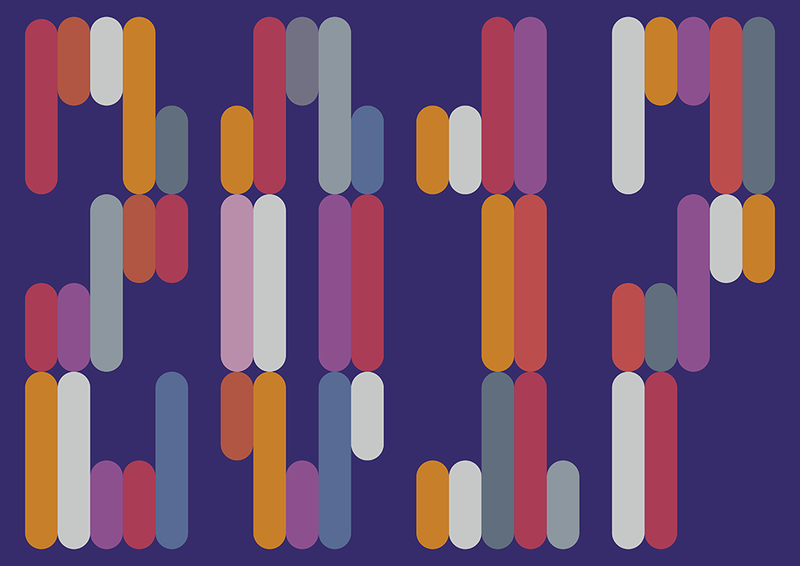 The brief was to create a distinct and discrete identity for the Venue Hire enterprise but which still retained a visual connection to the main Dovecot identity that I had developed. 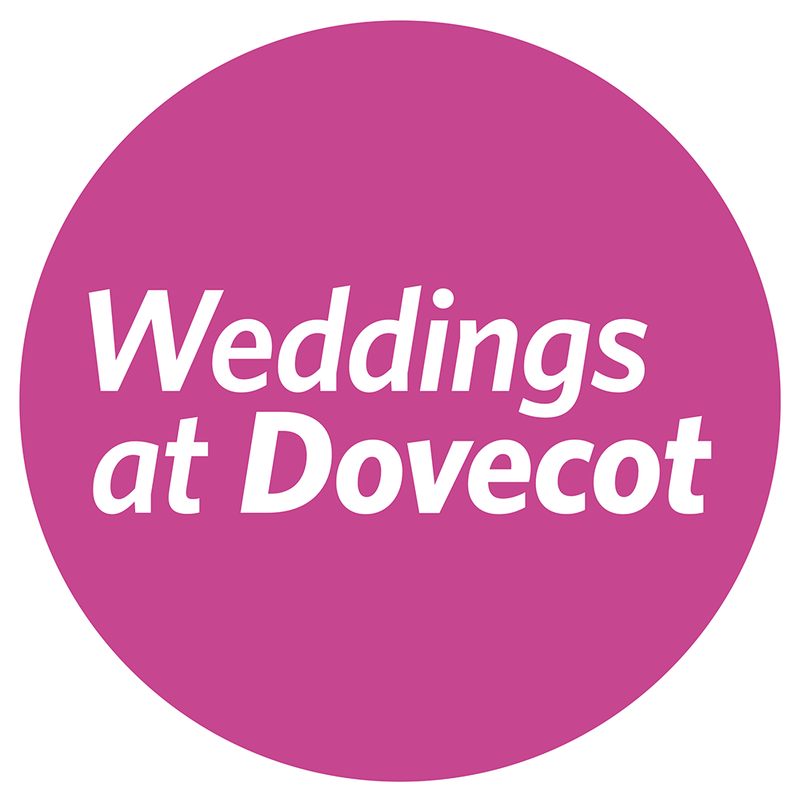 I devised a coloured circle with a type treatment (Dovecot's 'official' typeface, Whitney, in italic and two different weights) that was adaptable and would work across all of the different items required, drawing them together as a cohesive set that was visually distinctive and eye-catching. 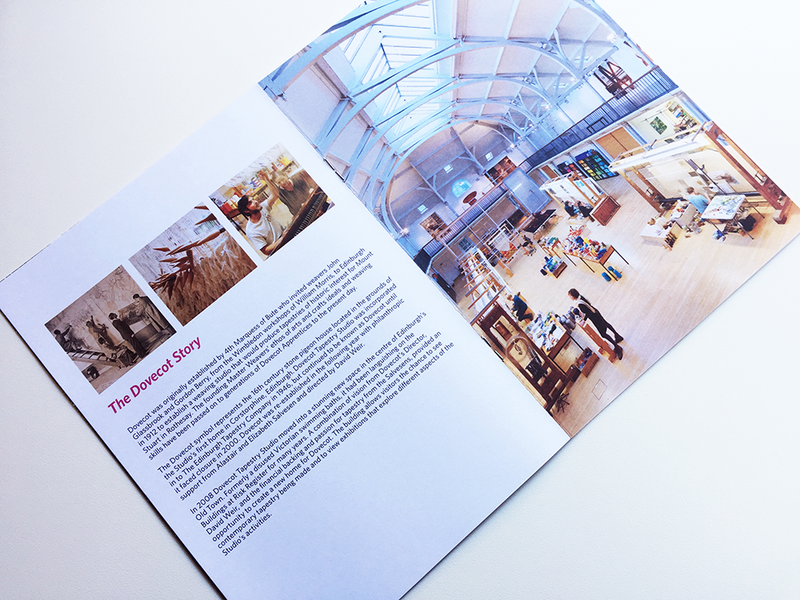 Each item had typographic elements and layout that made them work as a cohesive set and that echoed some elements of the design of the What's On guide. 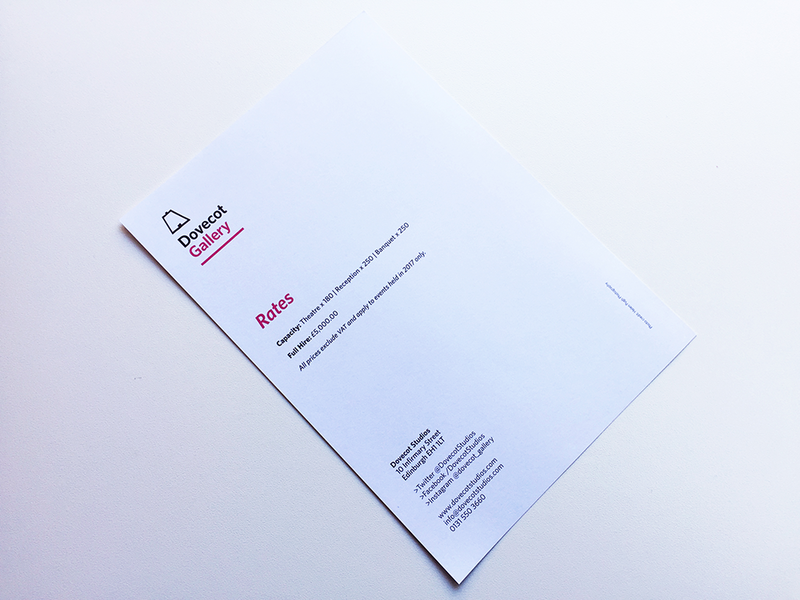 There were several items in the brief, some of which were only available as PDFs that were emailed to prospective customers and some that were digitally printed 'on demand'. 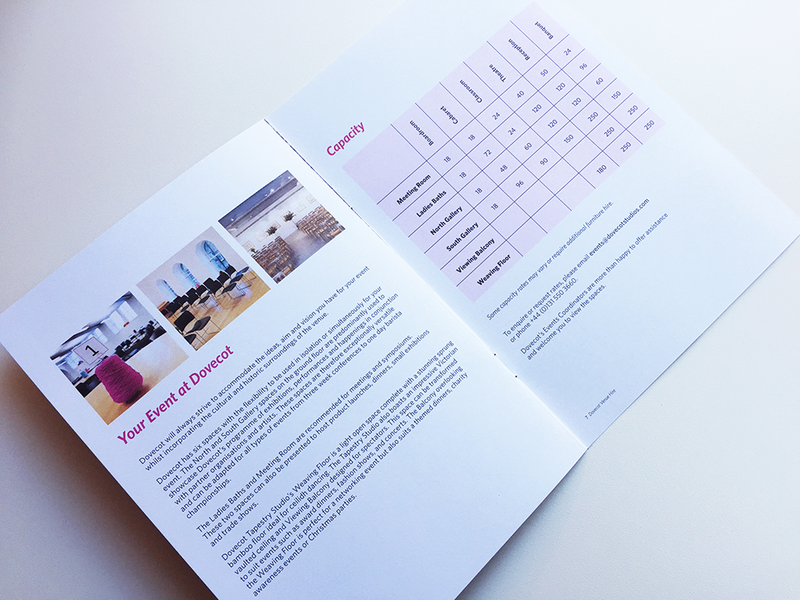 This is the Venue Hire brochure, an eight page A5 booklet with a set of six postcards that included rates for the individual spaces in the building. 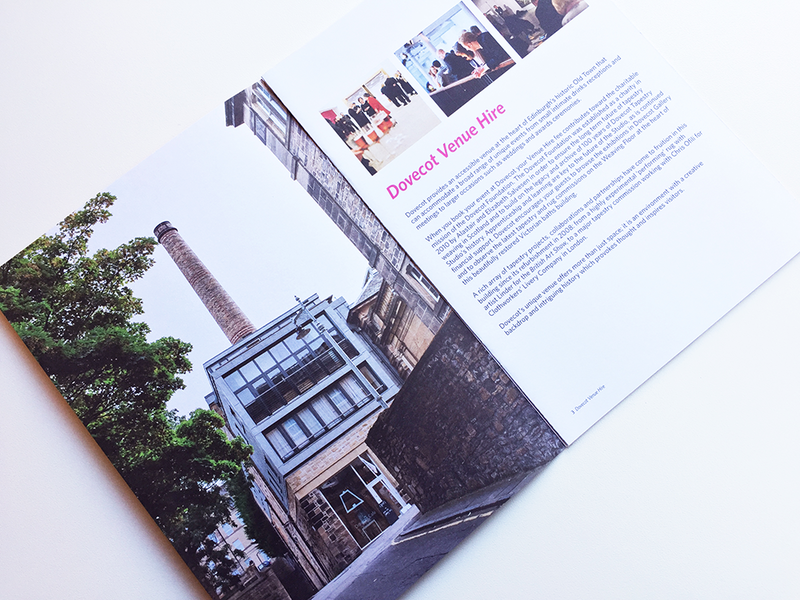 It was printed on Vision Superior to match the What's On guide, but with 200gsm throughout to convey a feel of 'quality'. 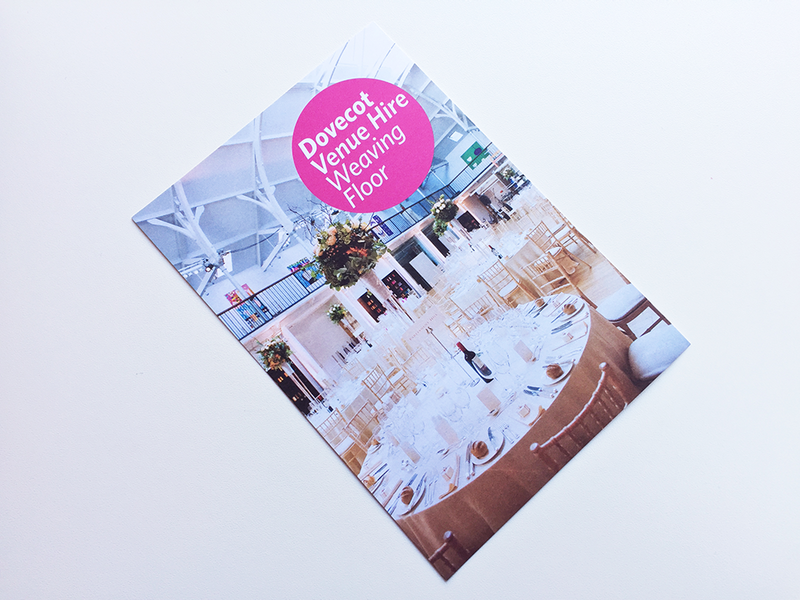 In addition, I designed theme brochures for weddings, Christmas, conferences, as well as catering and suppliers information cards, thank-you cards, and roller banners for events. 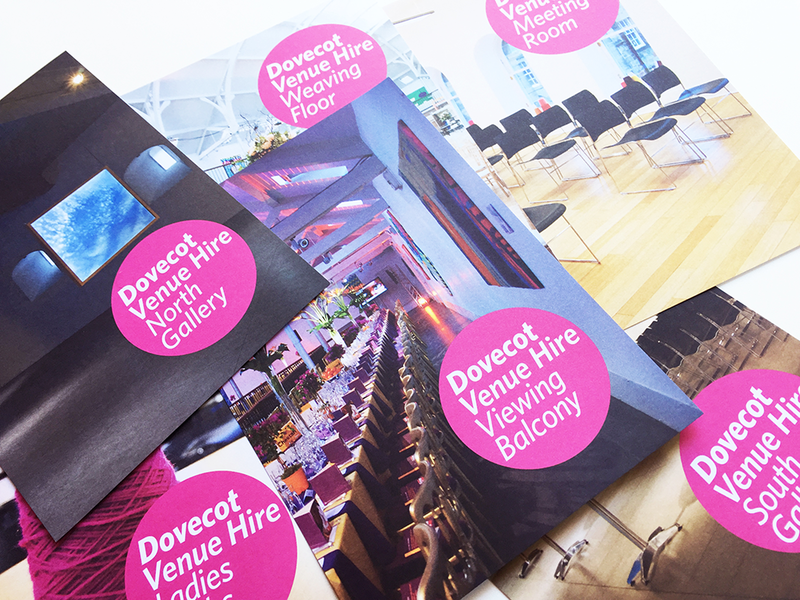 The postcards below were designed to be slightly smaller so that they fitted in the back of the Venue Hire brochure; they were printed in short runs so that the rates could be updated when necessary. 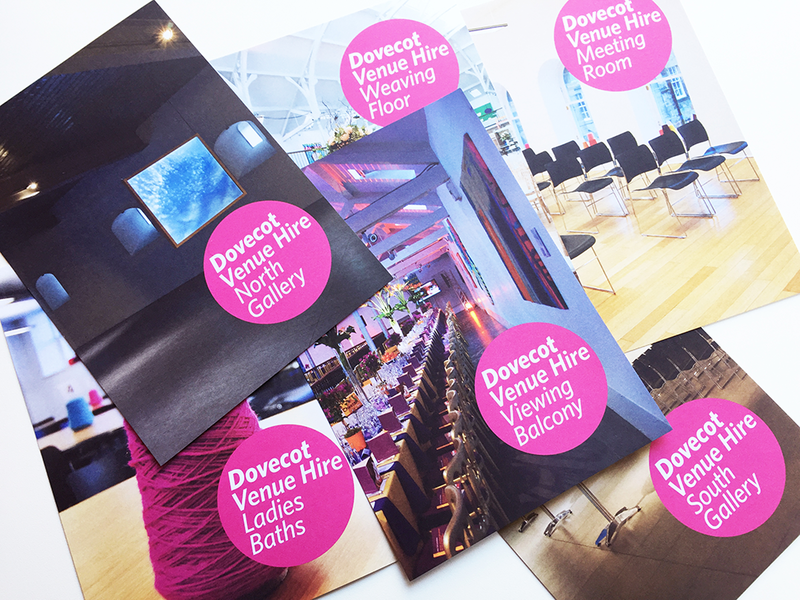 Venue Hire packs could be customised with different rate cards based on the needs of the customers.